The future of 21st-century business is in Asia. While the European Union does its best not to fall apart, and the North American countries compete against each other for minimal annual growth, Asian countries, specifically China, are poised for rapid growth in the next decade. Any company that wants more than just to survive needs to have a foothold in the Asian markets, and that means having a China market entry strategy. However, not just anyone can get into the PRC. Many people wonder how to enter China market, but the answer will depend on the company. While the market may be ready to explode with growth potential, some people feel it is just a matter of showing up in Beijing and opening the door. China’s infamous regulations, protectionism, and mild xenophobia all contribute to making rather more complex than that. It is one of the more difficult countries in which to do foreign business. Fung, Yu & Co. CPA isn’t a just another accountancy firm, but rather the most effective and efficient way of starting a business in China and making sure your business thrives in the Chinese market. 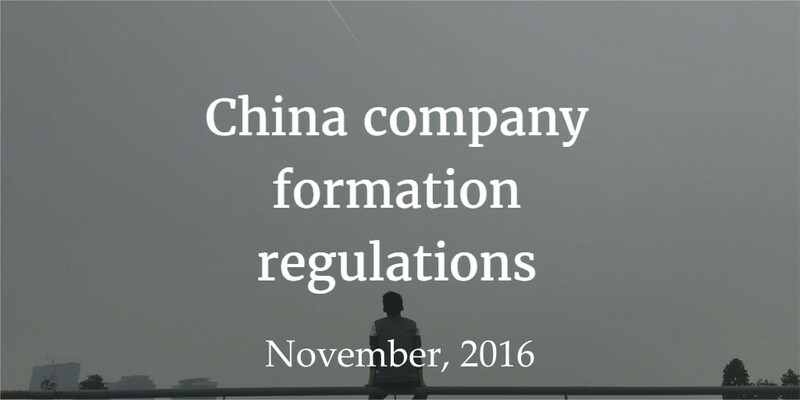 Every country has laws and regulations about business formation, and China company set up is no exception. While learning how to do business in it may seem that some of those laws can seem difficult to navigate, and Chinese regulations can be hard to understand. Simple activities like putting an ad in the paper often require multiple revisions and approval from multiple government agencies. What would be simple in the West is often the most difficult part of the process in the Mainland. Without proper guidance, your business will fail before you even find a lease on an office. The government publishes a five-year plan for where they see the country going. If your business does not fit into that plan you will not be permitted to proceed. Our firm has over 30 years of experience in China and we know how to set up a business in China. We are experts in reconciling differences between business plans, and government plans. We know exactly who to talk to and which forms to fill out. Before you sign a lease, however, you need to pick the correct city. The People’s Republic is a huge country, full of different cities with different personalities. Every city may seem the same while you are stuck in traffic trying to get to the office. In reality, each city has an industry that it specialises in. When establishing a new business in China you must consider how your industry fits into the Chinese locations. If you specialise in technology and innovation or are offering business services, Beijing is the perfect place to set up your company as the administrative and development hub of the country. If you are looking for a more manufacturing oriented city, Shanghai is closer to the steel, textiles, and any other manufacturing industries, while at the same time being a financial centre in its own right. If you are in the automotive or electronics manufacturing sector, Guangzhou is the place to go. Being sure you are set up in the right city will streamline business licensing processes, and allows your business to take root more quickly and efficiently. Fung, Yu & Co. CPA can help you set up a business, to be listed in the China company registry, no matter what your industry, or where you choose to locate it. Choosing the city is just the first hurdle you will need to overcome. In order to get a business license, you need to have a proof of lease. You cannot go to the leasing office on your own in China. You will need to enlist a realtor to find an office that suits your needs. This realtor will have all the information required for you to lease an office. There are several different kinds of businesses that you can open in the PRC. A joint venture causes split ownership between your business and a Chinese citizen. Setting up a representative office in China allows you to retain full ownership of your business, but does not allow you to actually perform any business activities such as producing or selling products. If you are looking to get the most out of your business presence in China you are going to want to set up a WFOE (Wholly Foreign Owned Enterprise). Each of these ideas has benefits and handicaps. At Fung, Yu & Co. CPA, we will sit down with you and figure out which options best suits your needs now and in the future. Your company may only need a minimal presence, or it may require maximum exposure. We understand the differences between various options and will clearly and concisely discuss them with you, to find which one fits best. Our company has many years of experience with WFOE Setup in China, but maybe another option would be better. We will help you to understand the environment and make the best decision. There will never be any doubt that you made the right choice, both in style and in CPA. When starting a business in China, as with anything in life, it is less important what you know, and more important who you know. When you are setting up a business in China, this is truer now than ever. Beyond the mistrust of foreigners carried by some in the Chinese population, the bureaucracy both local and central means you will never be able to navigate the process without help. There are foreign councils that will help you, such as the US-China Business Council. You are going to need a liaison, or several, in order to successfully navigate the labyrinth of government paperwork, egos, and cultural differences. Fung, Yu & Co. CPA is an expert at knowing who to talk to, and when. Some other local organisations may claim to help, and for a cheaper cost. However, more often than not, you will receive substandard work and have to start all over again. Not so with Fung, Yu & Co. We will get it right the first time. We will serve as an intermediary between the Chinese government officials, and the representatives of your organisation, to make sure every last detail is covered. Fung, Yu & Co. CPA has made a name for itself in the last 30 years. We made it a priority to learn the legal intricacies involved in bringing foreign companies to the Chinese market. You have spent time, money, blood, sweat, and tears to get your company where it is today. We understand that value because we have done it as well. We have made it our business to see that your business flourishes in the Chinese market. When you are ready to begin doing business in China and need excellence, you have found it. If you are looking for professionalism, look no further. If you need assistance with opening a China Corporate Bank Account, we can help. If you are looking for a service provider for company registration China, to expand the reach of your business to millions upon millions of people, then Fung, Yu & Co. CPA is the key to unlocking the market in China and beyond.